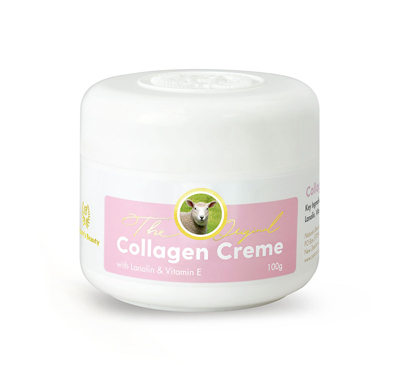 A light moisturising creme that naturally helps to lighten the skin, dark spots and blemishes for a whiter and more even complexion. With the key ingredient Dermawhite, an active ingredient that has a regulating activity on melanin skin pigmentation, it helps brighten dull skin by reducing pigmentation and lightening the skin tone. Enhanced with the regenerating properties of Rosehip Oil, a natural source of essential fatty acids omega 3,6, and 9 and Vitamins E and C, it is further enriched with the exfoliating powers of AHAs to gently remove dead skin cells. 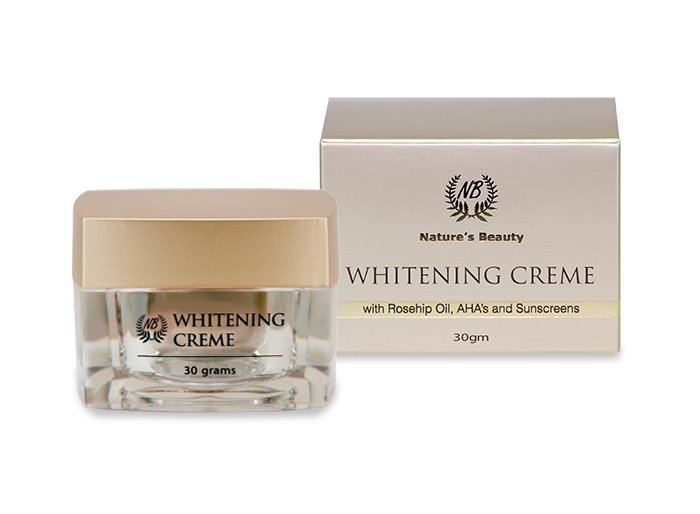 Creamy and easily absorbed by the skin, our loving Whitening Creme works to to brighten dull skin, while helping to regenerate skin tissue and protect the skin against premature ageing to reveal a young and lighter, more radiant skin tone. 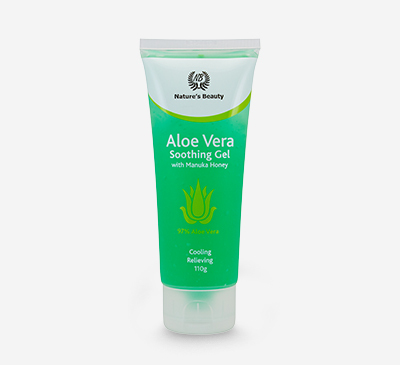 Gently apply day and night to help lighten the skin. Use regularly for optimum results, allow at least 8 weeks from first use for results to show. Dermawhite is a synergistic active ingredient used for lightening/ whitening the skin and reducing the pigmentation. Aside from fading discolored areas, it can also exfoliate to help make skin smoother and more radiant. Alpha Hydroxy Acids (AHA’s) are a class of chemical compounds that occur naturally in fruit, milk and sugar cane. 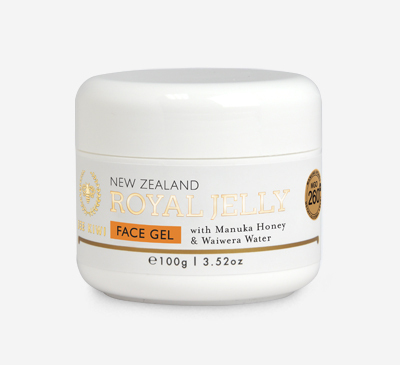 Incredibly gentle to the skin, it works by exfoliating the skin at a deeper level to make way for new, healthy skin cells. 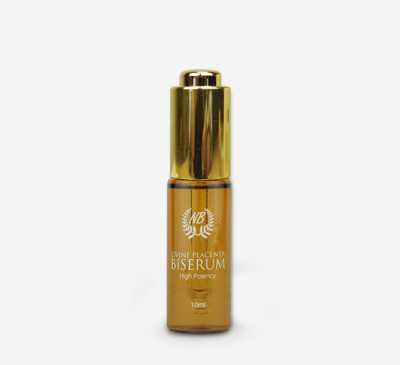 Rosehip Oil is an ultra-fine oil that is a packed with nutrients and essential fatty acids that play a vital role in the regeneration process of skin cells and restores the skin’s moisture balance. Sunscreen is an important factor to protecting skin from the sun’s harmful ultraviolet rays, and to help keep skin from tanning. Aqua (Water), Octyl Methoxycinnamate, Octyl Palmitate, Cetearyl Alcohol & PEG-20 Stearate, Glyceryl Stearate & PEG-100 Stearate, Paraffinum Liquidum (Mineral Oil), Cetyl Alcohol, Glycerine, Benzophenone-3, Dimethicone, Octyl Salicylate, Dermawhite (Mannitol, Sodium Gluconate, Citric Acid, Sodium Citriate, Waltheria Indica Leaf Extract, Dextrin & Ferulic), Isopropyl Myristate, Lanolin Alcohol – Absorption Base, Titanium Dioxide, Diazolidinyl Urea, Phenoxyethanol, Rosa Rubiginosa (Rosehip) Oil, Tocopheryl Acetate (Vitamin E), Fragrance, Methyl Paraben, Sodium Lactate, Propyl Paraben, Butyl Hydroxyanisole, Lactic Acid, Methylchloroisothiazolinone, Methylisothiazolinone, Disodium EDTA.